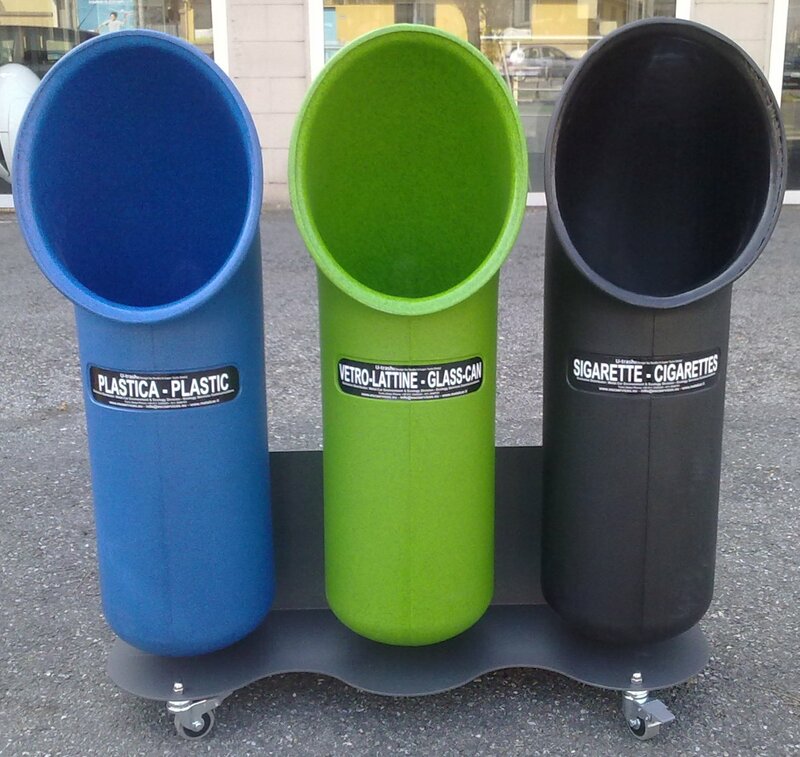 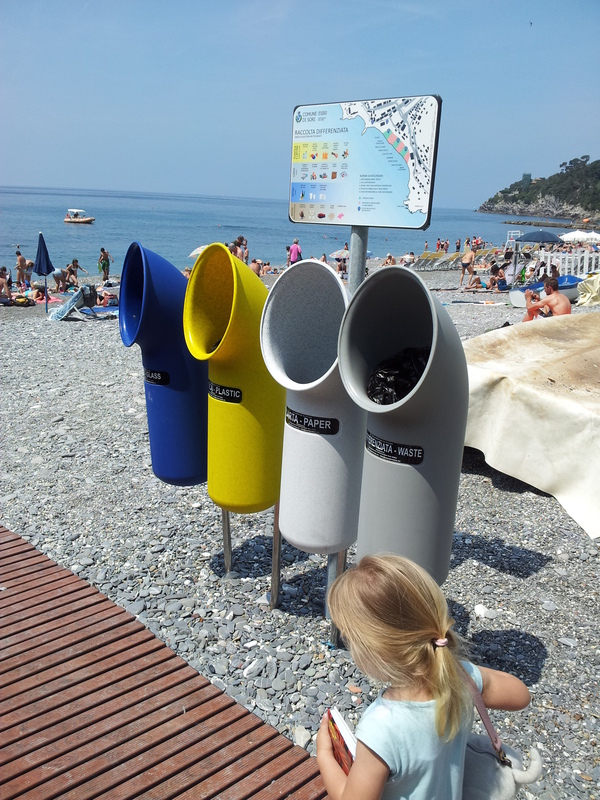 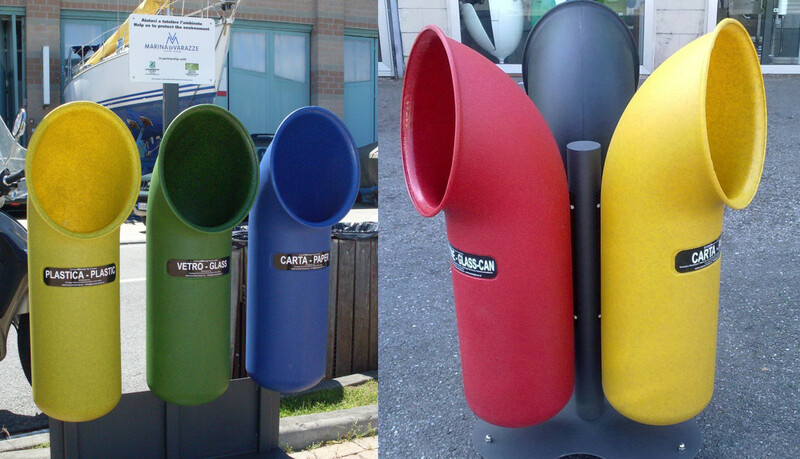 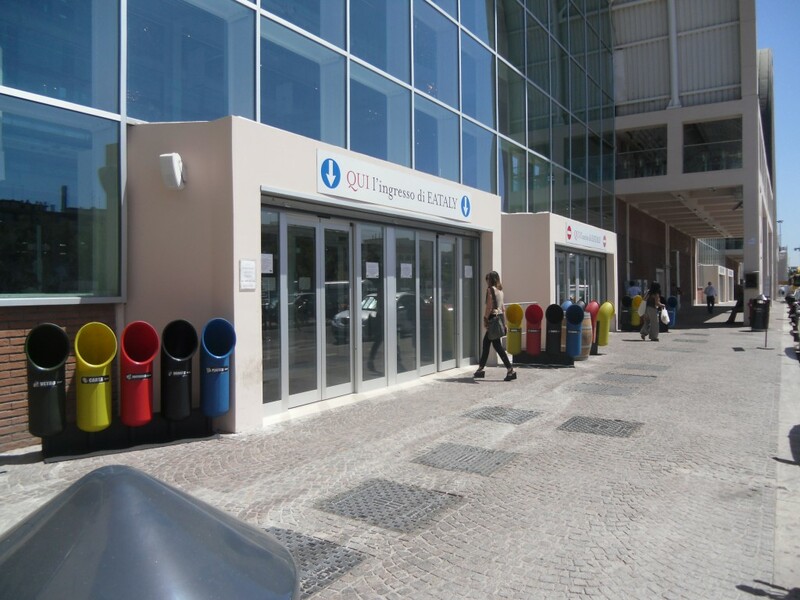 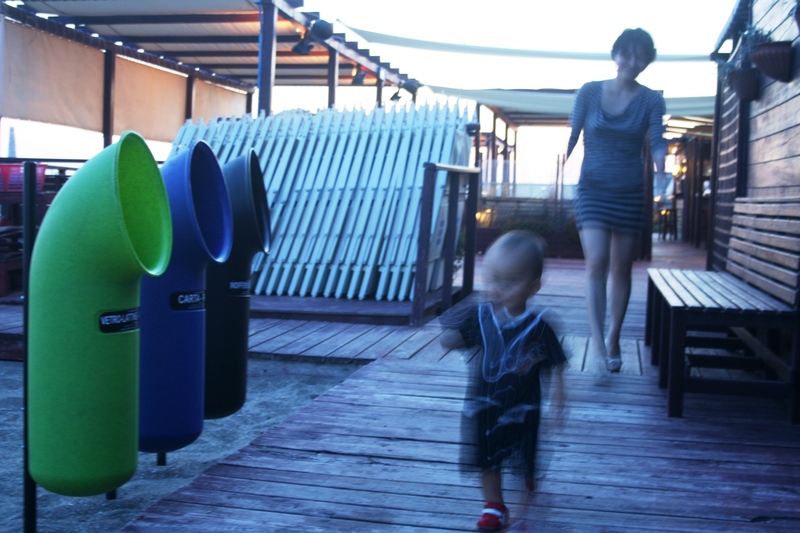 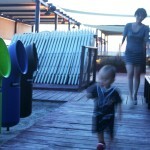 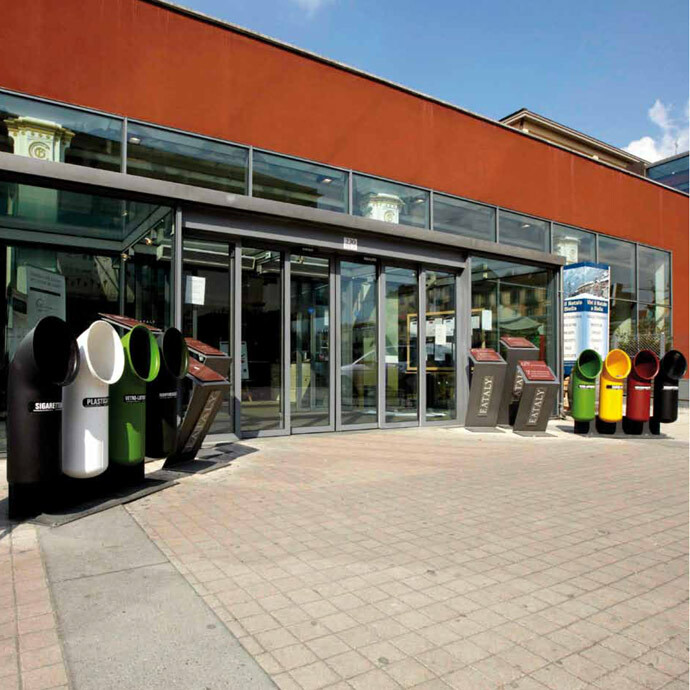 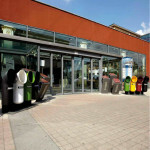 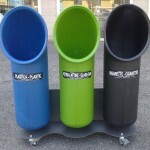 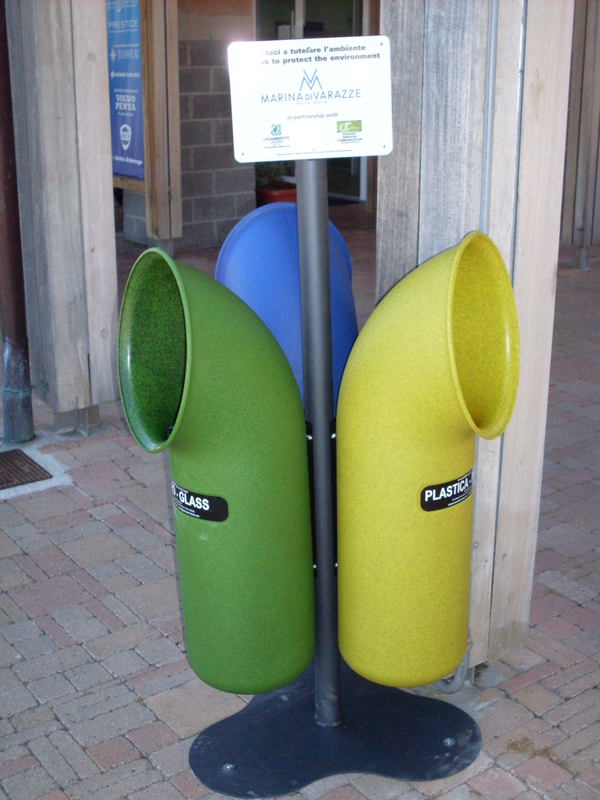 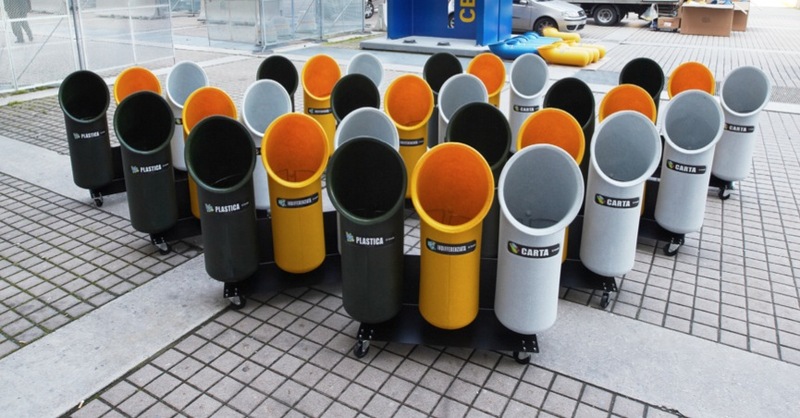 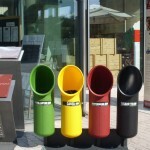 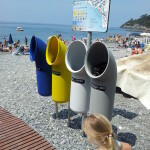 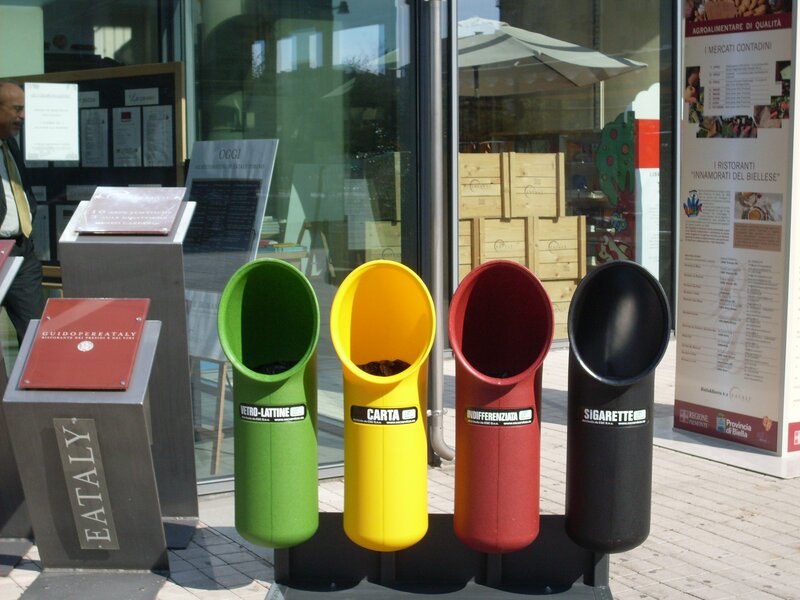 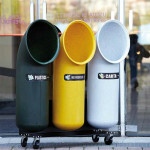 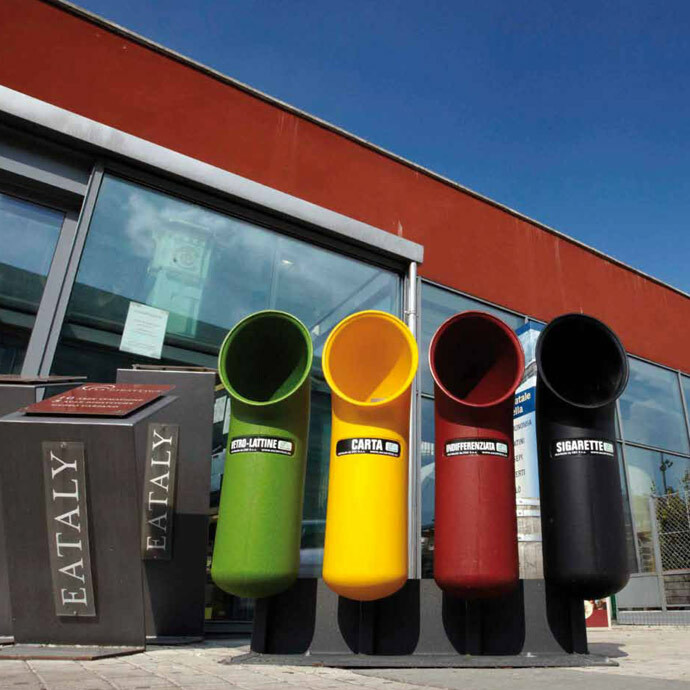 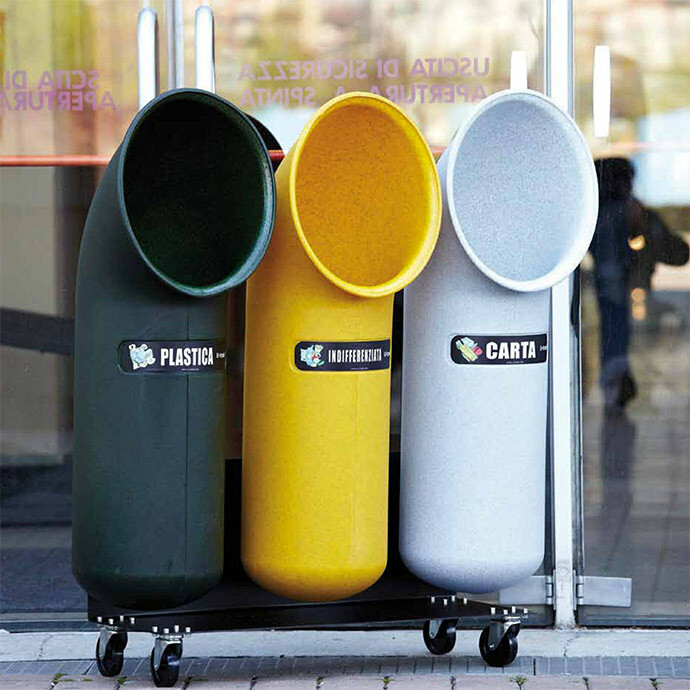 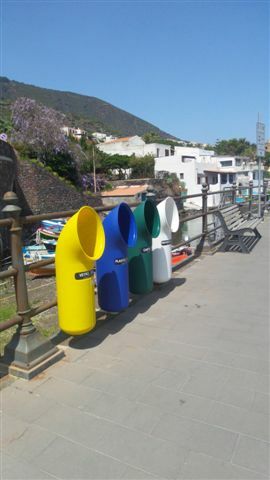 The U-trash ecological islands to perform the differentiated collection, are realized by combining three or more U-trash multipurpose containers on structures made of stainless steel can be fixed to the ground, or equipped with rotating wheels to allow the rapid shift if required by the usability of the Collector. 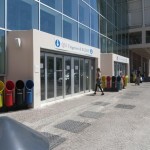 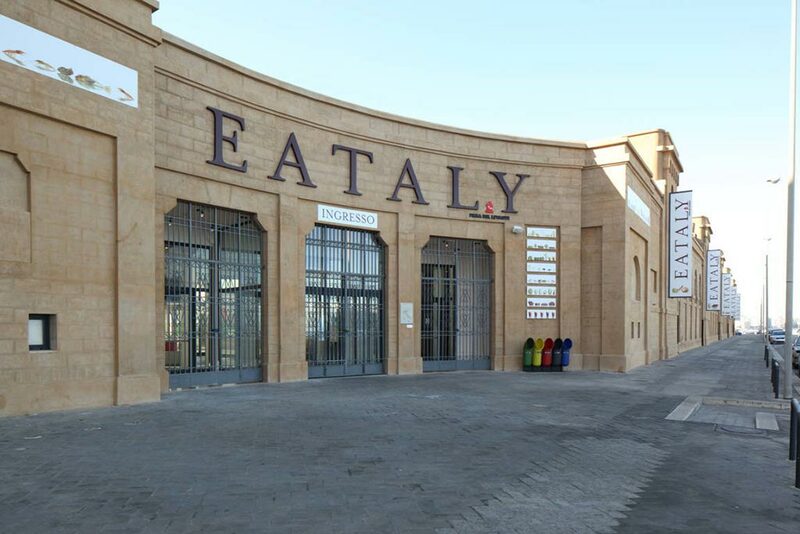 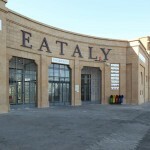 The structures can made in linear version/front composed from three to five containers, or in star version with only three containers positioned at 120 ° on the central pillar of the structure. 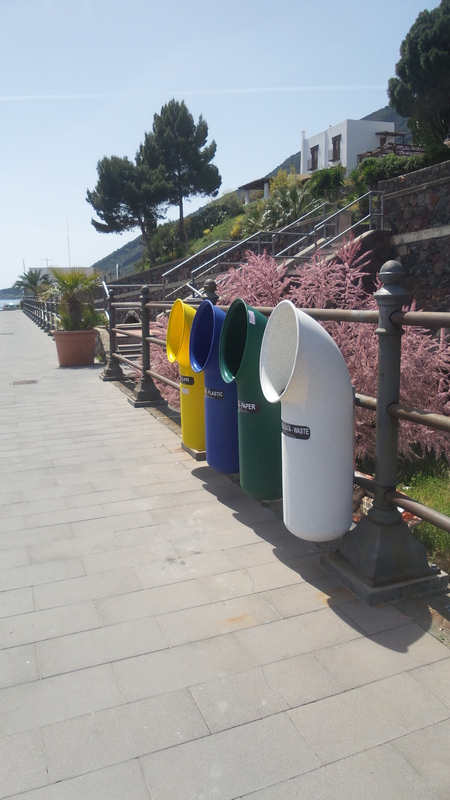 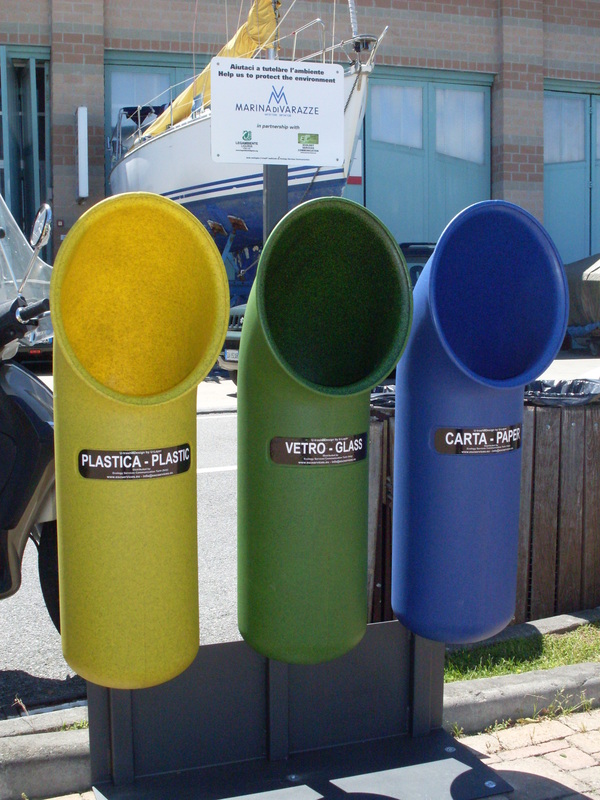 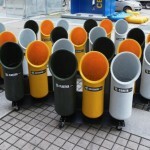 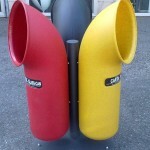 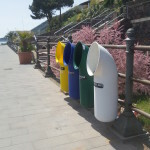 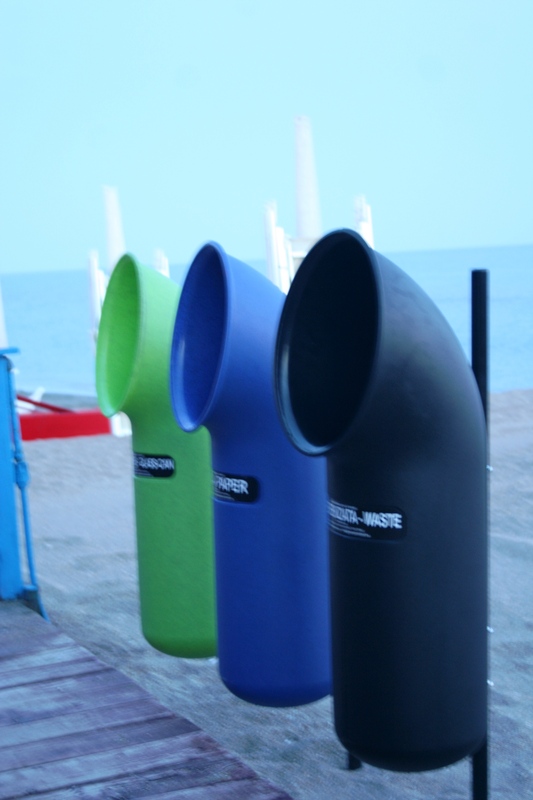 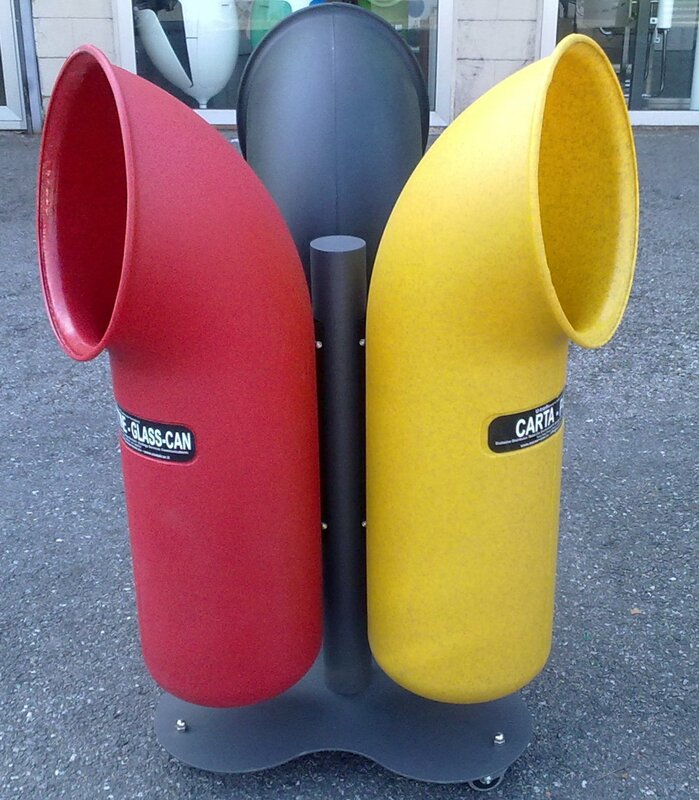 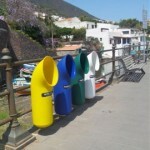 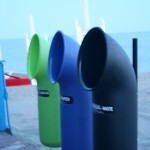 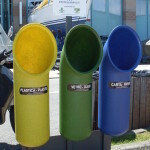 The support structures are made of stainless steel to ensure high resistance to weathering , the sea salt and therefore are particularly suitable for placement in locations such as beaches, walks along the sea and marinas, not only for their skills great sturdiness, but also for the particular and innovative design of the containers U-trash, defined marine wind sleeve, which matches very well for positioning in contexts in seaside and nautical locations. 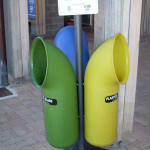 All the supports are made with holes on the base for fixing to the ground, or to be equipped with wheels and, in such case, the mobile structure is named Ecology Rolling Island.